Second Form continues the journey of Latin grammar. 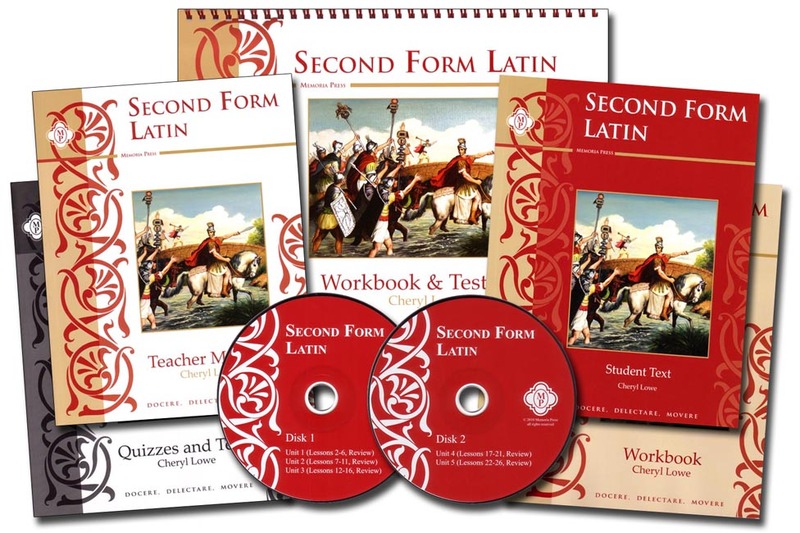 Designed for students and teachers with no Latin background, Second Form reviews all material in First Form and completes the verb paradigms for all four conjugations in the indicative active and passive, and much more. With Second Form, students will have crossed the halfway mark on their Latin journey! Second Form employs the identical format of First Form—an attractive, concise student text, systematic presentation in five units, extensive workbook exercises, and a teacher manual with everything you need to successfully teach this course. After mastering Second Form, the student will have mastered: 6 indicative active and passive tenses of all four verb conjugations, 5 noun declensions including er-ir nouns and i-stem nouns, adjectives in 3 declensions, Personal pronouns, prepositions, and 180 new vocabulary words. Recommended Grades 5 and up.